Our Liverpool Lou has arrived……. Just got a glimpse of our new car last night……straight off the trailer and all the way from the Citroën Factory in Vigo, Spain. It’s taken about 6 weeks to be ‘made’ and finally it’s here in Liverpool. I’m not a big fan of cars in general but this is a little beauty and ideal for our work….it’s like a mini-van with lots of room for art materials. We also insisted on getting air-conditioning fitted for all those long journeys on the road in midsummer….and driving back after an exhausting gig! The New Berlingo Ice Cream Van…..
We’ve only gone and bought ourselves a Berlingo! 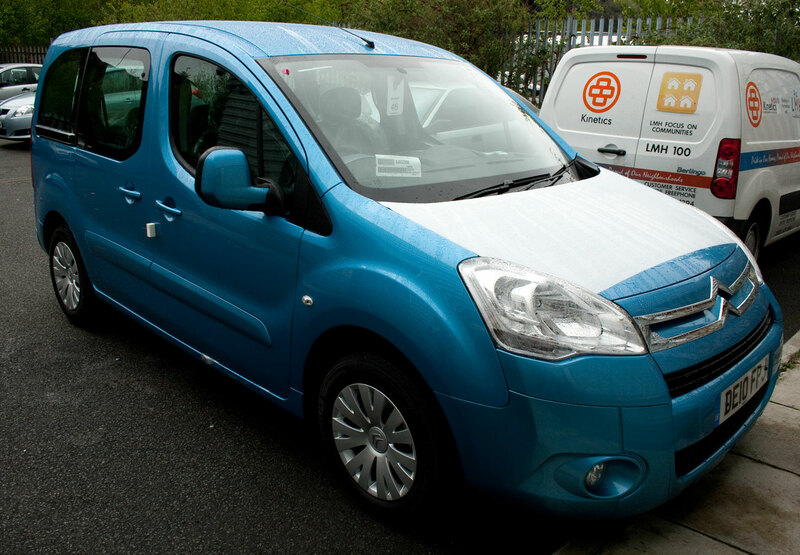 To Berlingo or not to Berlingo….that is the question……. 06 May	This entry was published on May 6, 2010 at 2:55 pm. It’s filed under cars, Ramblings and tagged 2010, beatles, berlingo, canvas, car, cars, citroen, factory, liverpool, lou, multispace, new, span, urban, urbancanvas, vigo, vtr. Bookmark the permalink. Follow any comments here with the RSS feed for this post. Newer: Experimentations into the 3rd dimension…….